As a place of much activity, it’s no surprise that the kitchen attracts grime as easily as a magnet attracts steel. Luckily, with just a few smart material and design choices, you can still make cleaning the kitchen a breeze. A glass or stainless steel backsplash is the most ideal. If you prefer a more exquisite material, a stone backsplash also works, but be sure to choose granite over marble as the former is less porous than the latter. A tiled backsplash gives you the highest level of customisation as the tiles can be printed to form a mosaic, but the grouting between the tiles tends to trap grease and grime and make for busy maintenance. Again, you want to avoid tiles, which leave grout lines that make it hard for mops to reach. This inconvenience can be mitigated by choosing larger-format tiles so there’re fewer grout lines to scrub. Hardwood is another popular choice, but the natural material can become moudly from prolonged exposure to moisture, meaning you must react quickly to any spill. 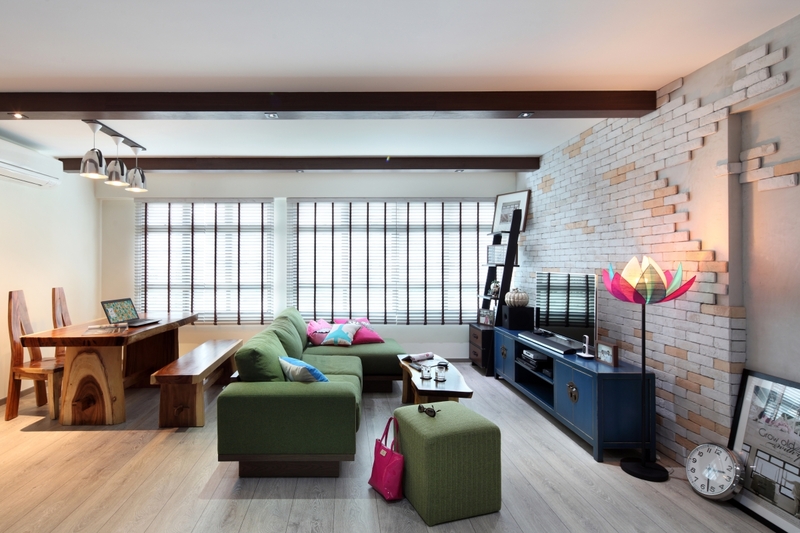 To replicate the look of wood, yet still ensure easy maintenance, go for engineered-wood or laminate flooring. A quartz or stainless steel countertop is able to repel stains with just a simple wipe. A countertop made from plywood, chipboard or medium-density fibreboard is covered by a laminate for a water-resistant finish. A natural stone countertop such as one made from granite or marble is also easily washable, but it relies on a sealant to keep out moisture. This sealant wears down over time from exposure to acids, so be prepared to put in some effort to reseal your stone countertop. Instead, pick either an integrated sink or an undermount sink (pictured above). An integrated sink, which is formed together with the countertop (and hence, part of the countertop), has no seam or joint, making it impossible for dirt to get stuck. An undermount sink – as its name suggests – has its rim attached to the bottom of the countertop and concealed, so you can sweep debris off the countertop into the sink without worrying whether it’ll get lodged in the corners of the sink. It’s easier to clean up after a heavy cooking session. The uniform glass surface of an induction stove is more manageable than the challenging terrain of a gas cooktop, which includes the grates, the burner caps and the hobs. Glass is also one of the easiest materials to wipe down.